This crag springs up from nowhere, and is made of very fine grained and hard sandstone, giving delicate climbing in the easier grades. A calm sea is helpful. Climbing is in three areas the Main Wall, Eastern Slabs and the less obvious West Wall (HU189493). Follow the single track coast road west from Walls for about 3mls, then left on the road signed to Annifirth, parking in a layby on the left at its end in half a mile. Go through a gate and walk out alongside the Voe of Footabrough on a dirt track that bends up right to some farm buildings. Just before the buildings, go through a gate on the left and continue out to the headland. From there, follow the coast round to the west, to arrive at the east edge of the south facing slabs. a block 5m south of a projecting shattered block above the slab. The right side of Main Wall can be accessed from an anchor around a small 'gravestone', backed up using a large low block about 20m higher and slightly left up the slope. 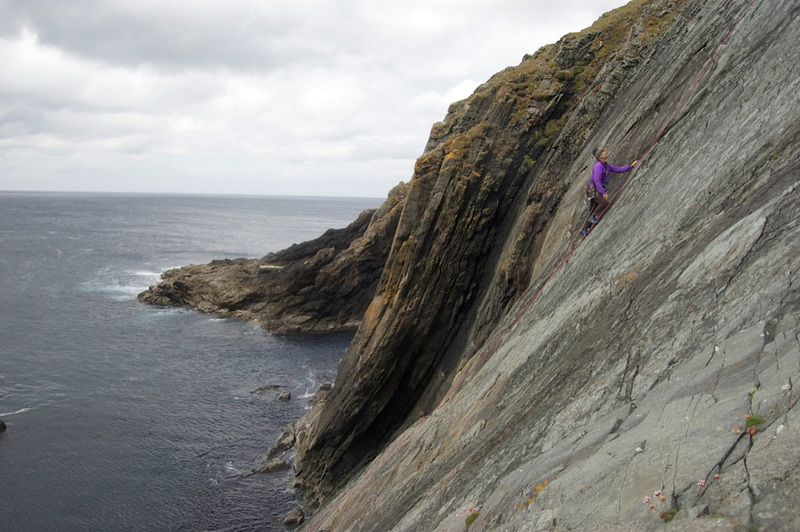 However stakes would be a distinct improvement for access to any routes on the Main Wall. 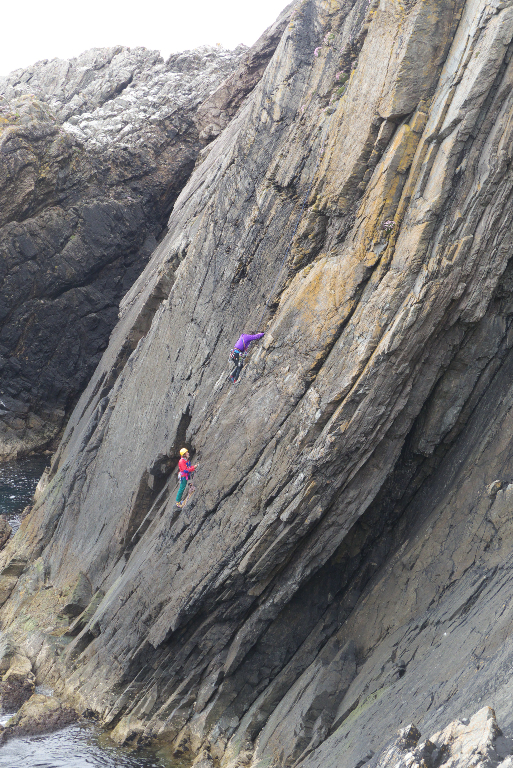 The Eastern Slabs and West Wall can be accessed by easy scrambles to the south of both walls. To add a photo use the uploader in the right sidebar. Make sure you include Fidlar Geo in the photo description so it gets added to this page. Thanks Al. We will envy you further developments on this nice crag, a pity it rained on our last day or we would have done other route! 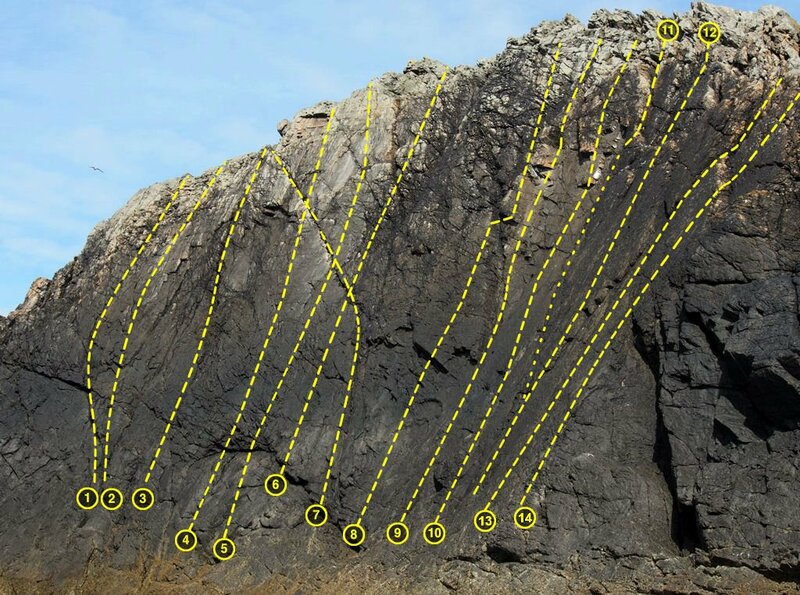 Thanks for sending us the info on the crag, Tony. I haven’t been out yet, but it looks excellent. Looking forward to repeating your routes and putting up some new ones! Route 1 on Zawn Wall only has Ross’s name on it because I took a flyer while trying to second it. 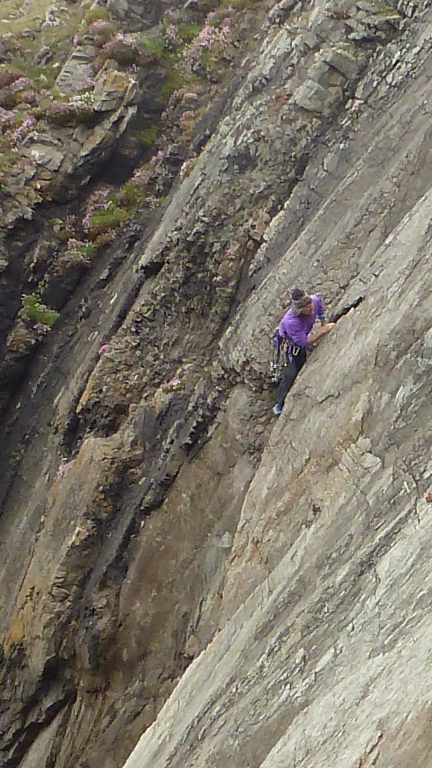 The crux pull through the overlap was “…easier than I expected…”, there being a surprise jug. 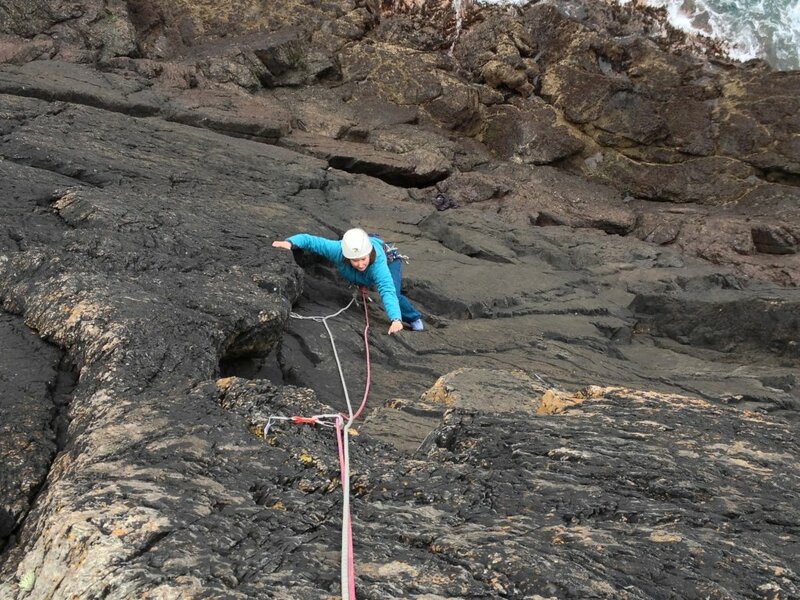 I got it, pulled up on it, hooked my foot up over the overlap and was just making the final easy pull onto the slab. Suddenly I was airborne clutching a brick-sized lump of rock that had been the jug. It’ll still go but at a much higher standard. Too much for me. 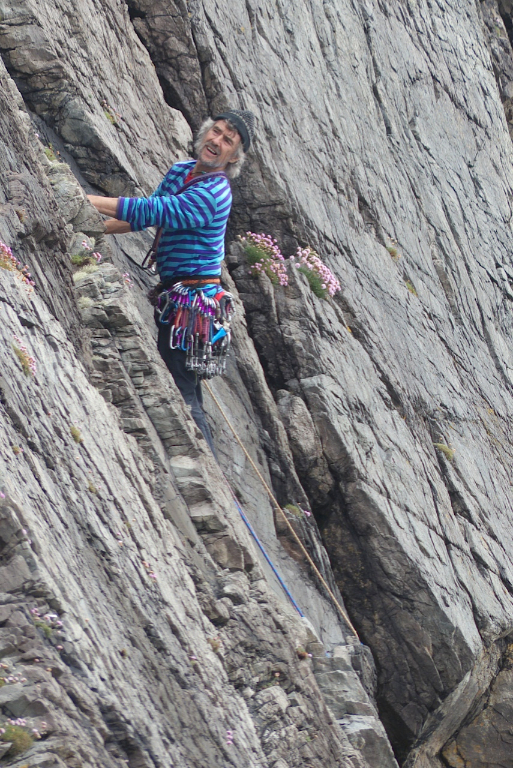 What I saw was a moment of glory on the route named Da Röf an da Wa’ when Andy successfully pulled up onto the upper wall. A fleeting big grin across his face replaced by the realisation that he was falling whilst still clutching the jug only to then vanish from sight! There is a second jug slightly further to the right, all are welcome to try it …..
Lovely spot. 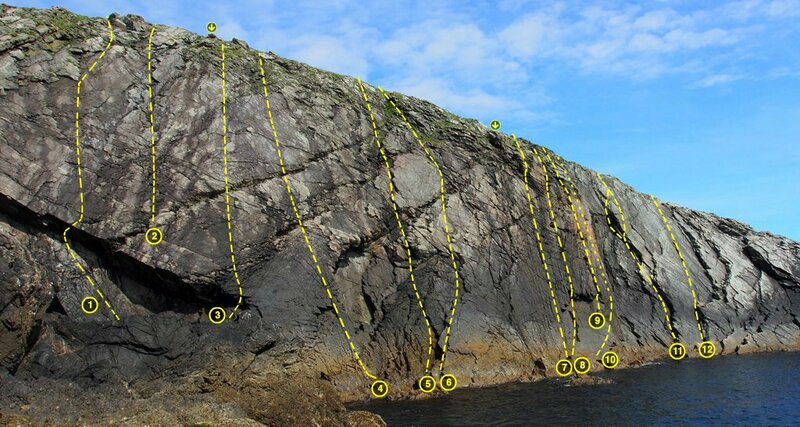 Nice collection of routes in the lower grades, which climb well. 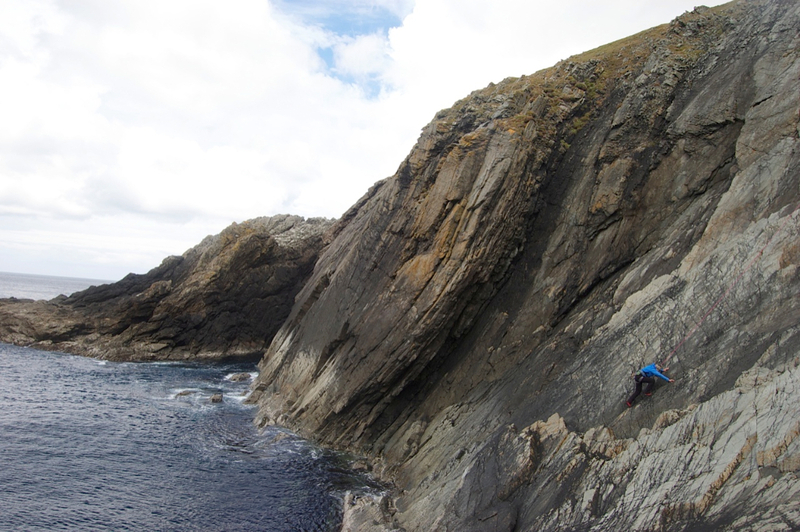 Spent a couple of very enjoyable hours soloing here, mainly on the west wall. Hi Wilson. Glad you got on a bit of rock while you were up. Yeah it’s a cracking little spot.